> Oracle APAC ZO OD Prime Volume HCM ABM Leads June 2017 > What's new for HR in 2017? 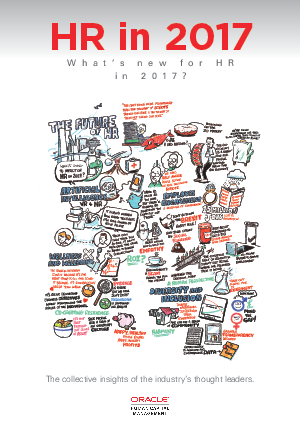 As we turn our attention to 2017, HR leaders have their destinies and those of the modern workforce firmly in their hands. Businesses have never faced such extreme levels of uncertainty. On a macroeconomic level, they are still unclear on how and when the UK’s “Brexit” from Europe will proceed while trying to predict how a political outsider in the White House will affect global markets. Meanwhile, they are seeing their success threatened by disruptive upstarts and their operating models challenged by employees’ cry for new ways of working.